The End is in Sight Hodgepodge | The Happy Wonderer ~ ellen b. 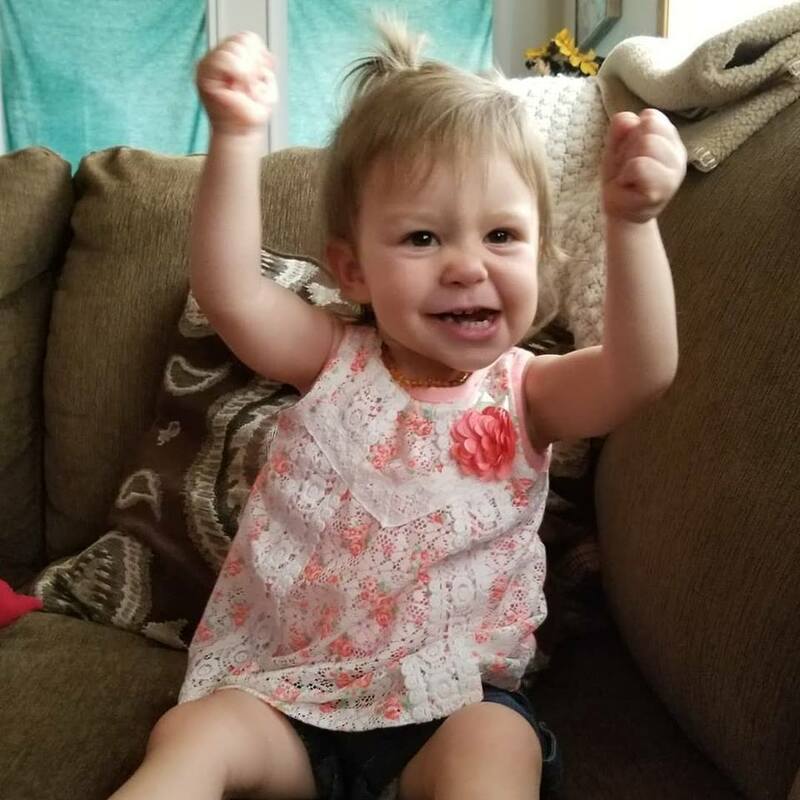 Posted on September 5, 2018 by Ellen •	This entry was posted in Addyson May, Meme, Moving and tagged Moving to Colville, Wednesday Hodgepodge. Bookmark the permalink. 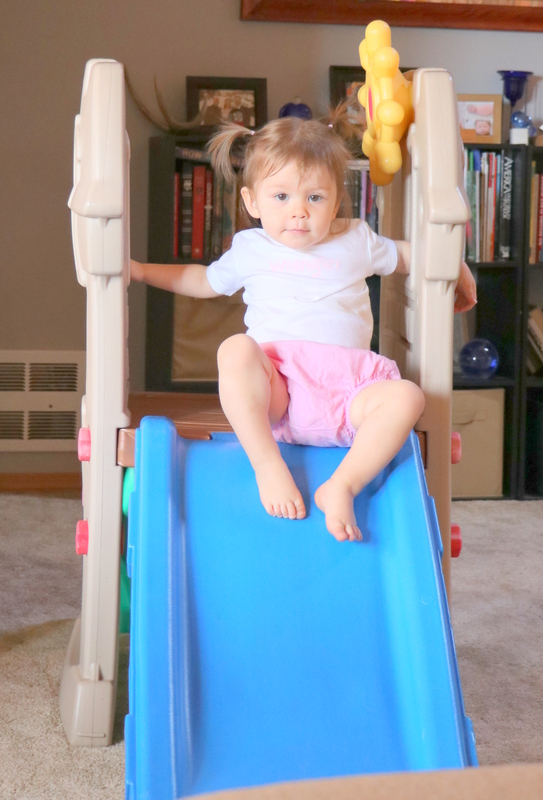 …a gentle slide is always welcomed. Hello, Adorable photos of Addy. It will be nice to sit back and relax some after your sell, buy and move. Enjoy your day! That is a sweet, sweet baby girl. You are blessed. You’ve had quite a summer!! Addy is adorable. Oh goodness you’ve had a busy time of it. I hope everything goes smoothly with your house purchase and that you are soon settled in and able to relax. Great that you will be so close to your cute granddaughter. I am so happy that ya’ll will be close to family…..that little girly girl is sooo cute. Good luck on getting all moved into your new home…it’s lots of work but also fun. I especially love your No. 5. We went through something similar. At the beginning of the summer (May 27), we relocated from Beijing into a tiny apartment in Da Nang, Vietnam. The tiny apartment was a 3-month lease to give us time to figure out where we really wanted to settle, and see what we could find. August 15th we moved to a 3 bedroom house in a neighboring city. I know that it’s God’s grace that allowed us to live peaceably in close quarters while seeking the next option. Oh my, what a summer! Your experience brings back visions of our daughter and her family’s buying of the house next to us and their month of “homelessness” till they closed on it. It was quite an adventure, but worth it in the end as I’m sure all your upheaval will be. I pray your move brings you nothing but blessings and joy! God has been so gracious! 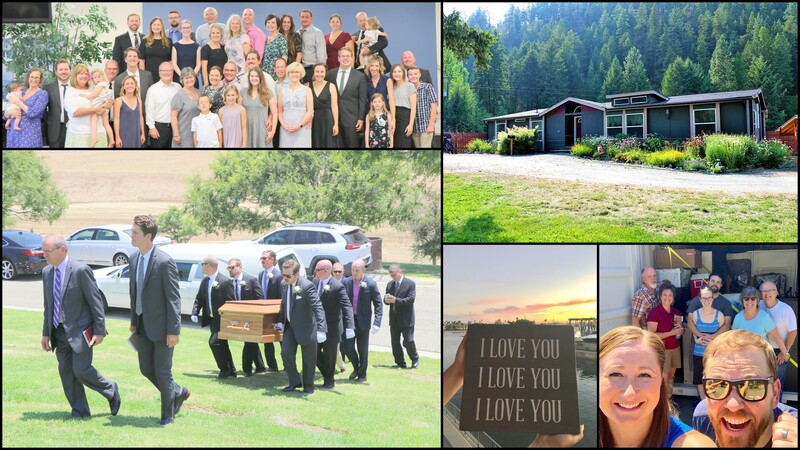 It is never easy to say good-bye to someone we love, but I know that you are finding great comfort in knowing that your Pop was ready to move to His eternal home and that he is living gloriously in his new body! How good it is to know that you have found a new earthly home. So exciting to see how God has provided! I pray that you will make many beautiful memories there! How wonderful to be so near your grand girl! Wishing you well as you settle into your new home and life there! Every second spent with that cutie will be worth all the hassle of the move. Lucky you! I’m with y’all…rather awestruck at what you’ve accomplished and how quickly! 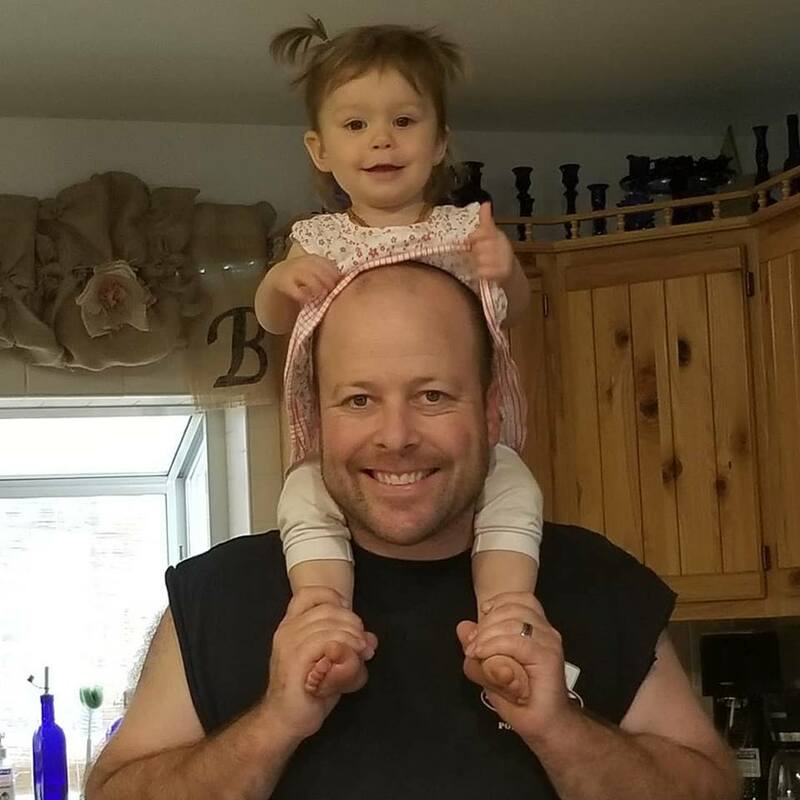 Love the photo of grandgirlie on Daddy’s shoulders…marvelous! Your summer has been crazy busy and that will probably continue through fall as you get settled into your new home. It will be worth it all, though, just to be eight miles away from Addy and her mommy and daddy. I have been reading along and commenting whenever I find myself on the PC. Have enjoyed the Tuesday with Moisi posts. Oh, and I hope that somehow the Hodge Podges will continue even if less often. Eight miles from that sweet Addy! Good for you! You are blessed. Oh what a summer this has been for you all! You are going to get such a blessing of being closer to Addy, to watch her grow and change, to experience the sweet love of a dear grandchild – it’s amazing as you already know. I hope the move goes well and that you can start to settle in before Fall! Hugs …. First, my sincerest condolences on the loss of your Pop. It is always difficult to say “Until We Meet Again” to a loved one who graduates to glory. I thought I had a busy summer. Whew! I got tired just imagining what your summer has been like. I glad to read that you see a light at the end of the tunnel. All the best as you make the transition to eastern Washington. Thank you for visiting my blog page and for leaving a comment. You have been so busy and then losing your dad on top of all that had to be hard. ((Hugs)) I love her pose and how wonderful that you will only be 8 miles from your granddaughter. Praying that your move work out perfectly and you can settle in and enjoy life! What a summer! I too hope it is a smooth transition for you to this next phase of life. So enjoyed hearing about your dad’s tradition of saying “I love you” three times when saying goodbye. What a blessing! I know you must miss him, but to be ready to go and to know where one is going is everything.